ce on only using chemical free enzyme cleaning provides a great service that will be appreciated by the new building occupants. Many of Channel FM’s products are especially suited to the modern tiled areas found in bathrooms and kitchens. All our products are safe and eco-friendly and do not contain any allergens that can cause rashes and reactions. Carpets can also be cleaned using enzyeme based products. Channel FM will professionally deal with all these different cleaning tasks. Building companies and property sales. By using Channel FM’s post building service, building companies and sales estate agents know that the completed works will be shown off to their best presentation. Every day saved in selling is a day saved in property costs. The green-cleaning techniques Channel FM use will also remove residues from glues and mastics as well as the more regular building dust and debris. The transformation always impresses potential property owners and renters. The building structure including all wood work, windows and tiled services together with the decor such as carpets and curtains can all be enzyme treated providing a long-lasting and totally safe deep clean process. Channel FM provide this service throughout Kent and London. 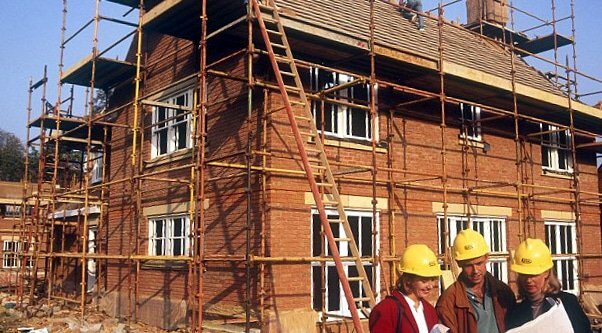 Popular areas such as Maidstone and Canterbury and Ashford have many building sites from a few houses and flats to larger estates. Using Channel FM’s eco-cleaning service will give you the edge over your competitors. Your extension or new-build can be made spotless using enzyme cleaning. After the stress and inconvenience of building an extension you can add a touch of luxury by asking Channels FMs green-cleaning experts to clean your new extension. We will only use non-toxic environmentally safe bio-technology products. It is surprising how dust and dirt travels during building work to reach all parts of your house. We can deal with carpets, the bathroom and kitchen and all other rooms. Our enzyme cleaning products are completely safe in kitchens and other food preparation areas. You will be delighted with the professional and considerate approach taken by all our cleaning staff. All of our cleaning operatives have undergone rigorous training. They know which green cleaners will work best in the different situations. Contact us for a no-obligation discussion.